I am a late blooming eventer. 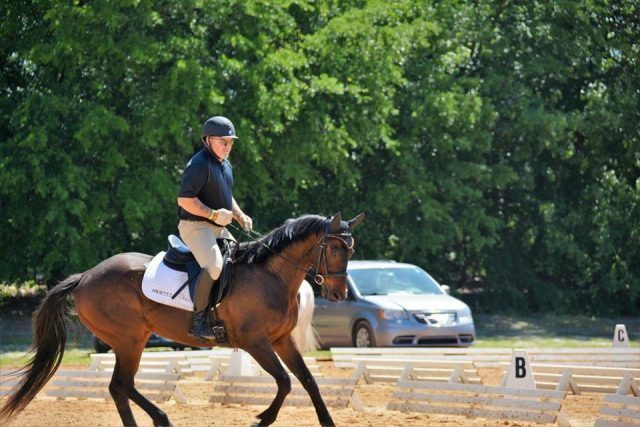 I began eventing 3 years ago after our hunt club closed down. I am a farrier and a triathlete. The closer I get to 50 I have realized three important things. 1. You are never too old to learn. 2. Learning is harder as you get older. 3. Life is too short, HAVE FUN!! Whether or not you have heard of Danny Ward, if you have interest in a horse you have been touched by his work. Danny was a teacher, a mentor and a friend. 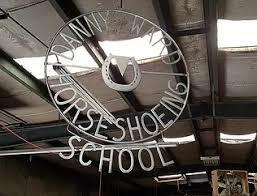 He had taught many before me and many more since my time at Danny Ward Horse Shoeing School. Danny was a giant of a man both figuratively and actually. Standing over 6’6” it was hard to believe that he could get under a horse and still keep him comfortable. He was quiet, kind, caring and gentle. He was a superhero to many of us. The number of farriers and veterinarians that he has taught over the years are countless. I am blessed to have been one them. When I first took interest in the farrier profession, I was advised to find a school and someone to apprentice under. I was fortunate to find Ted Whitfield to apprentice under and Danny Ward’s school to attend. I attended Danny’s school some 15 years ago. I had worked my apprenticeship on a part-time basis for a couple of years and was ready to commit to a fulltime career. I attended the summer session of school with 12 other hopeful farriers. Danny was straightforward when class started. A morning joke to lighten everyone up then right to sharing his years of knowledge. 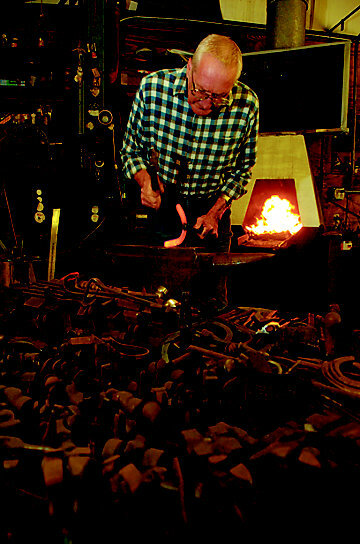 When you looked around the classroom and the forge room you realized the history that surrounded Danny and his profession. Danny reheated the rasp, placed it atop the anvil, hammer in his right hand. I reached back with the sledge and swung for the stars. A glancing blow off the back side of Danny’s hammer right onto his thumb. He dropped everything doubled over at the waist and began to jump around laughing. It wasn’t until I saw the blood running down his hand that I realized he was not kidding. The last time I saw Danny he placed his thumbs side by side and said it’s almost back to normal. We laughed, shook hands and picked up right where we left off. A teacher and his student. Danny was a third generation farrier. He followed in the footsteps of his farther Smokey. He never forgot about his roots. That was represented in everything he did. Danny hosted an annual homecoming of sorts. Every November hundreds of farriers,vendors and friends converged on Martinsville, Va. There were clinical segments, food, entertainment and camaraderie. All topped off by an exciting auction that always raised large sums of money for different charities. Danny was always giving back. Danny competed on and coached the American Farriers team in events around the world. I am sure where ever he was he never met a stranger. Whether you were a seasoned veteran, an up and comer, or just a casual observer you were welcomed into his world. David E. Hoffman/Special to the Register & Bee. 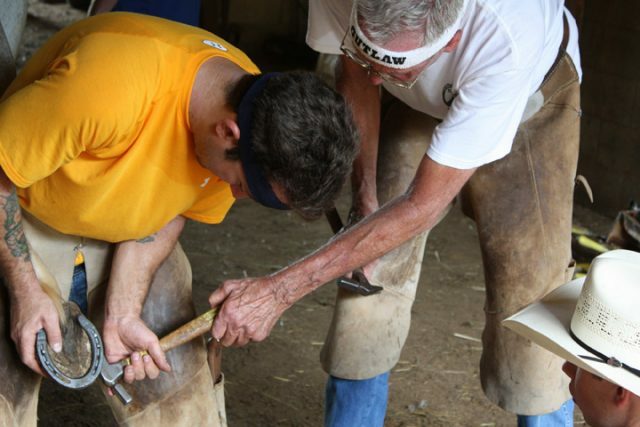 Farrier student Renato Zock, from Ellicott City, Md., gets assistance from instructor Danny Ward as the student works on a horses hoof at Shady Knoll Farm. 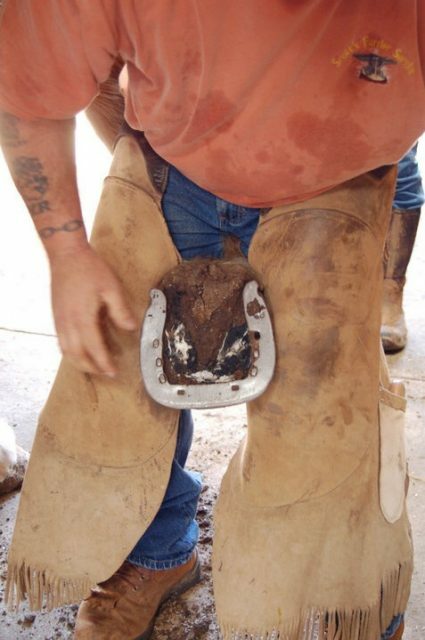 There are many very good farriers in the world today but few great ones. Now there is one less. I will always cherish my time spent with Danny. I will be reminded of his teaching every time I pick up the pritchel that I made during my first days at school. He will never be replaced nor can he be duplicated. Danny Ward is a name that will always be synonymous with teacher, friend, and mentor. Godspeed. What a year this has been. After completing two Ironmans and taking some recovery time at the end of 2016 I thought it was time to pursue my next dream. I began looking for my next horse, you know, the one that would take me to the Advanced level. Isn’t that what every eventing junkie looks for? I found him. 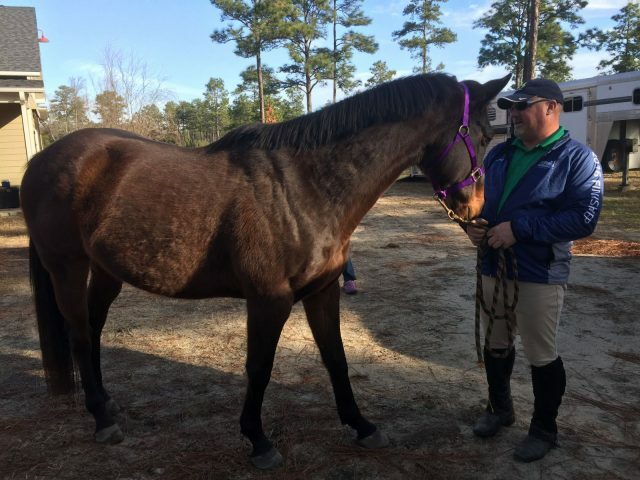 A 9-year-old OTTB named Social Unrest, AKA Riot. He had been let down, restarted by Will Faudree’s team, suffered a minor injury, was let down again (for over three years) and had just been made available through Canter Mid Atlantic. We got him home, tacked up and got ready for our first lesson. After a 25 minute trot set, his choice not mine, he finally settled down and let me feel like I was in control. This went on for several months. My coach, Jessica Bortner Harris, had her hands full but as always she just laughed at me and reminded me that this was my idea. We get along good like that, light hearted and fun is how you roll when you’re approaching 50 and competing Beginner Novice with a much bigger vision. 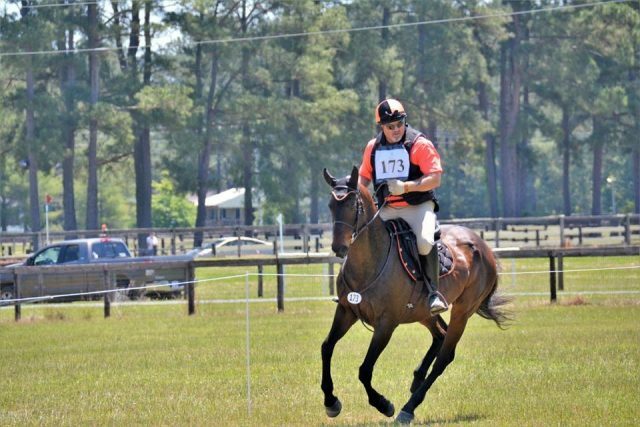 We ventured out to our first horse trial in May at the Carolina Horse Park. The first of the War Horse Series. Riot shipped well, arrived relaxed, and hacked out easily. We schooled OK on Saturday. Not that we didn’t have issues, but it was OK.
Sunday morning started with a nice easy hand walk, we were both relaxed, then one of us got a glimmer in our eye when we spotted the steeplechase track across the street. After we jigged all the way back to our stall it was time for breakfast and working on relaxing. It wouldn’t be long before it was time to tack up for dressage. Riot warmed up fairly well for dressage. I knew my test and my horse was ready. That was until we entered the little white box. 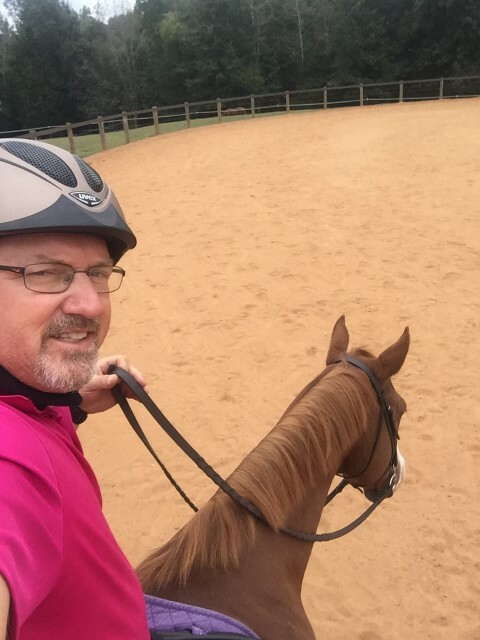 We jigged down the center line, broke to the canter as we tracked right at C, broke to the canter partway through our first trot circle, jigged down the line to the canter circle, picked up the wrong lead … and so on and so on. Our halt was solid and statuesque. After a tack and attire change it was on to the fun stuff. Stadium was a challenge. Someone was up and ready to go. After nearly getting unseated after fence 5, we got our act together and finished … well we finished. Cross country brought a whole new set of issues. There were a few delays on course and the start box was backed up a little. Riot does not do well with hurry up and wait. Once we got started, well, jump one was good, two refusals at two, and then it was off to the races for the rest of the course. I was never so happy to see the last jump or so I thought. After the finish we needed to head back toward the start box. The best way to accomplish this was on the steeplechase track. Did I mention Riot is an OTTB? Yes, he galloped all the way home. So for now it is back to the drawing board, and my other horse until we work the kinks out. 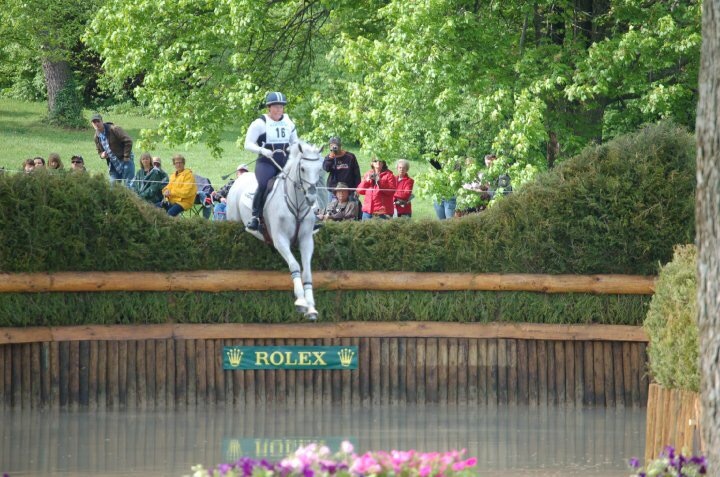 In less than a month many of us will converge on Lexington, Kentucky for the Rolex Three Day Event. Everyday at the Kentucky Horse Park is one that should be cherished. Whether you’re lucky enough to be there for all four days, making a day trip for cross country, or taking in everything Kentucky has to offer during your week-long spring vacation make sure you make the most of it. My wife and I have made this trip for the past 11 years. We started just going to cross country for one day as part of our annual spring vacation to the races at Keeneland. We then added Sundays at show jumping, although we usually stood three to four deep at the rail trying to get a glimpse of our favorite riders. Then they added tailgating as an option for seating to Saturday’s cross country and we been hooked ever since. Tailgating opened a whole new avenue for us. We are foxhunters so a good Saturday morning tailgate is right up our alley. Whether you got a premium space or a standard space you are at Rolex camped out to watch cross country. Tailgating has introduced us to many new friends. One said friend, photographer Allie Conrad, would become instrumental in me getting my first OTTB earlier this year. We met John Prather who would become our “boss” when we started volunteering last year. We have met many people whose names we can’t remember but will remember their faces when we see them in the years to come. Social Unrest AKA “Riot.” Photo by Alison Shiminski. If this is your first trip to Rolex, and you’ll be in town before Friday I highly recommend a trip to Keeneland. Even if you can’t make it to the races, make sure you get by for the morning workouts. They start early, but what better way to see a sunrise then with the beautiful backdrop that is Keeneland, complete with galloping thoroughbreds. And don’t forget to make your way by the track kitchen for breakfast. If you are on a mixed family vacation, there is the Bourbon Trail, and some great golf courses in Lexington. 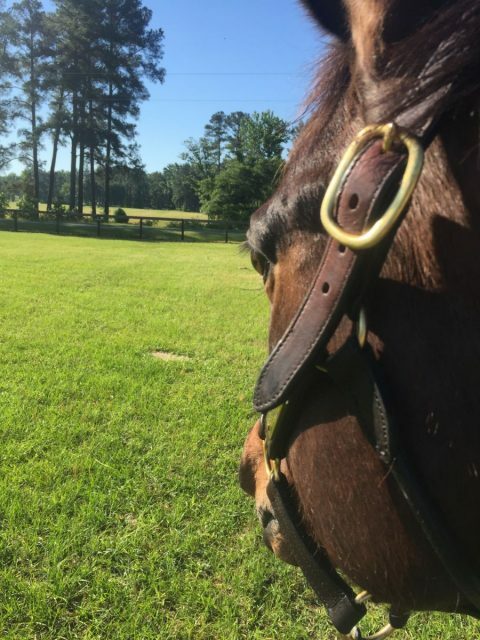 Everyone can enjoy a visit to Old Friends, a retirement center for many well known race horses. A visit to a breeding farm can be educational as well, but be sure to make a reservation — it is after all the end of breeding and foaling season. If it is shopping that you like, there is no shortage of it at Rolex. Whether you need d-ring savers or a new horse trailer you can find it in the Trade Fair. Tack, clothing, saddles, equipment, farm needs, horse needs … it’s all here. If you can’t find it at Rolex it probably does not exist. If you are tailgating on Saturday here are a few pointers from my experience. Get there early, as the traffic builds in a hurry on cross country morning. If you will put up a shelter, be sure that you have stakes to secure it to the ground. Grills must be gas operated, no open flames. No glass allowed. If you need assistance look for someone with guest services — this will be marked on their golf cart as well as their credentials. We have always offered to feed volunteers working our area; it is a simple gesture that is a huge thank you for their efforts. If you are in tailgate section S, which is a new section by horse inspection, there is a good chance you will see my wife Alison and myself as we will be your guest services connection. The Rolex Three Day Event is the stuff memories are made of. See you all in Lexington at the end of the month!! Photo courtesy of Angela Earle. 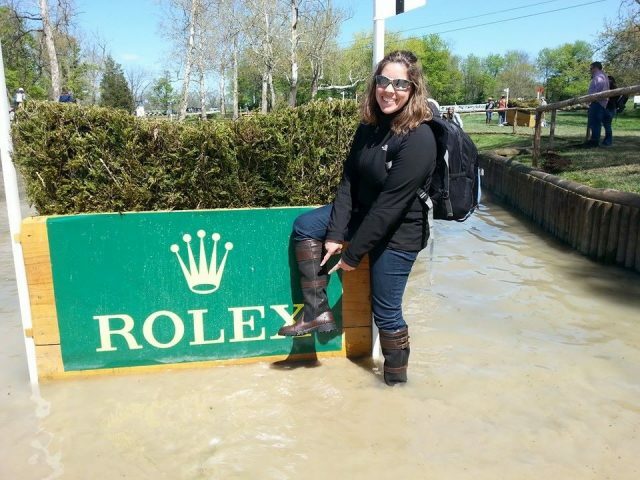 So you have qualified Rolex for the first time, hypothetical of course. You have worked on it for years. You’re ready, your horse is ready, your butterflies are building. 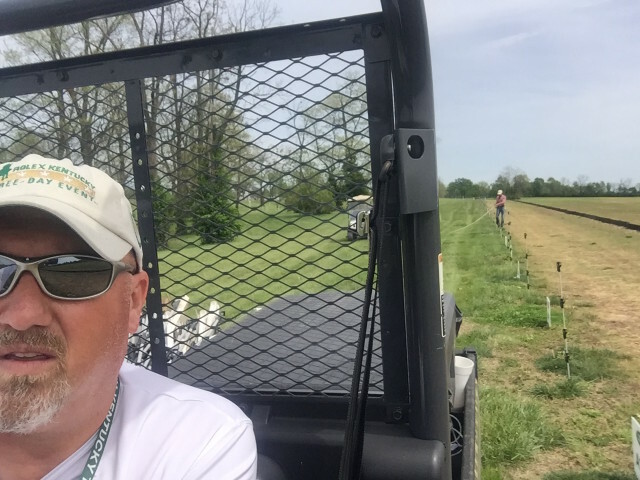 You get notified, the day before you are to ship out, that more than half of the cross country course has been rendered unusable by unfortunate weather. What do you do? I was faced with a similar question recently. I have trained all year to compete at Ironman North Carolina. A 2.4 mile swim, a daunting 112 mile bike, and a marathon (26.2 mile run). On Tuesday afternoon, the day before I was to leave home, came the toughest email that I have received in years. 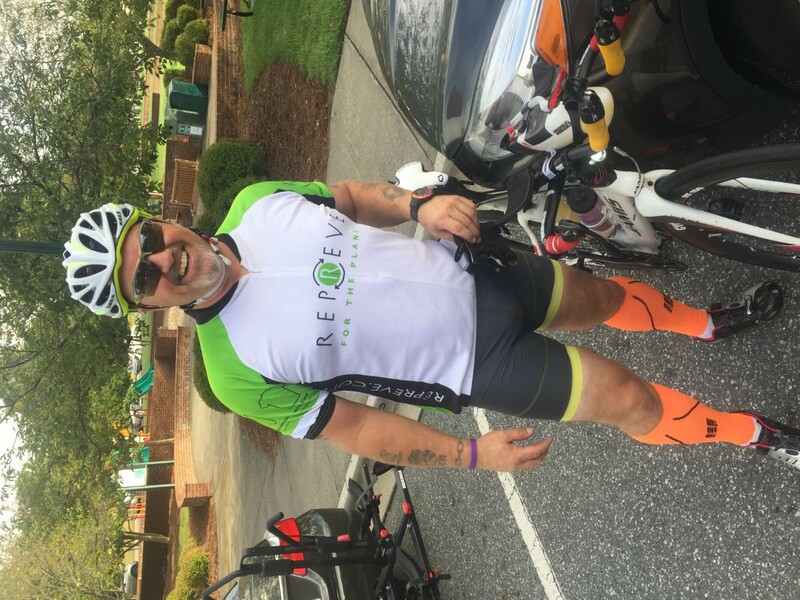 Due to the devastation left by Hurricane Matthew the bike portion of the race was being cut by 56 miles. 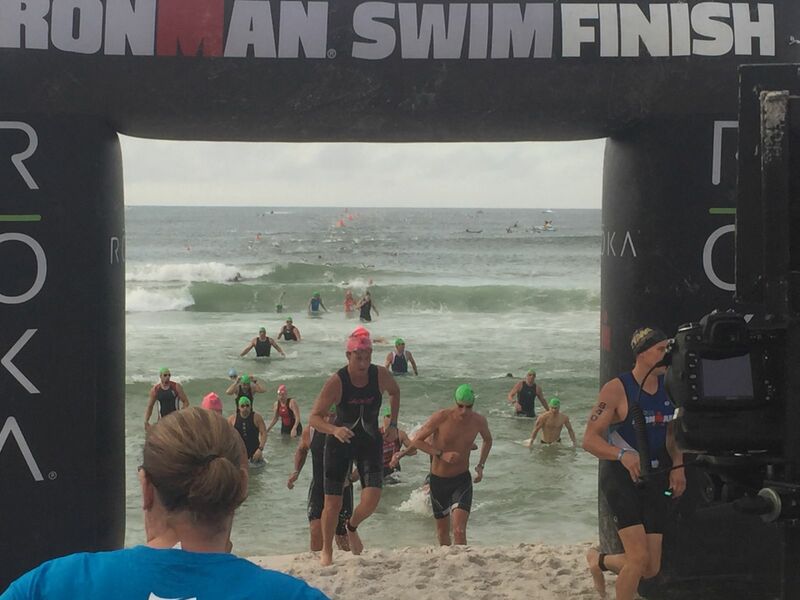 Slightly different from four-star eventing, where we have only six options a year, Ironman offers many races around the world every year. 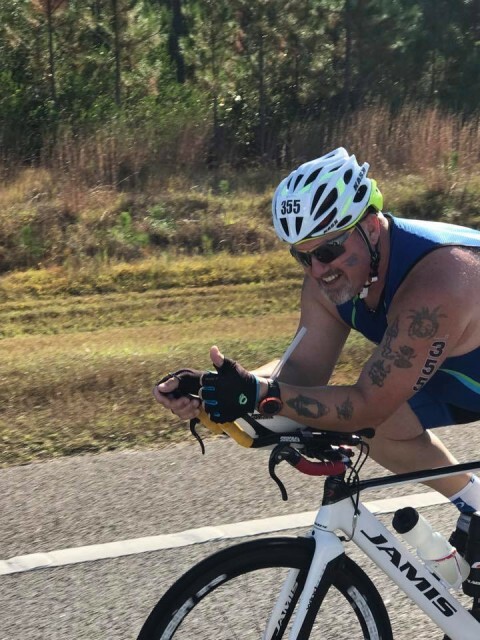 One of my training partners reached out to me to inform me that there were some charity entry slots available for the upcoming Ironman Florida. This was a crazy idea, it would only give me two weeks to recover, but then again I’m an eventer and we are not always looked at as the sanest people. Photo courtesy of Scott Shiminski. I looked into the charity entry slot. Why would I not take advantage of this great opportunity? I am in the best shape of my life and I have a chance to give back, something I have always felt strongly about. This time it will be the Children’s Tumor Foundation that will benefit from my training. I have learned a lot about Neurofibromatosis, NF, in the past 10 days and I have counted my blessings every day since. So how do you prepare to get through two grueling events with just 14 days between each. Well that’s easy, not! The biggest thing is try to relax. Relax, yes, I can relax when I am on the back of my horse. 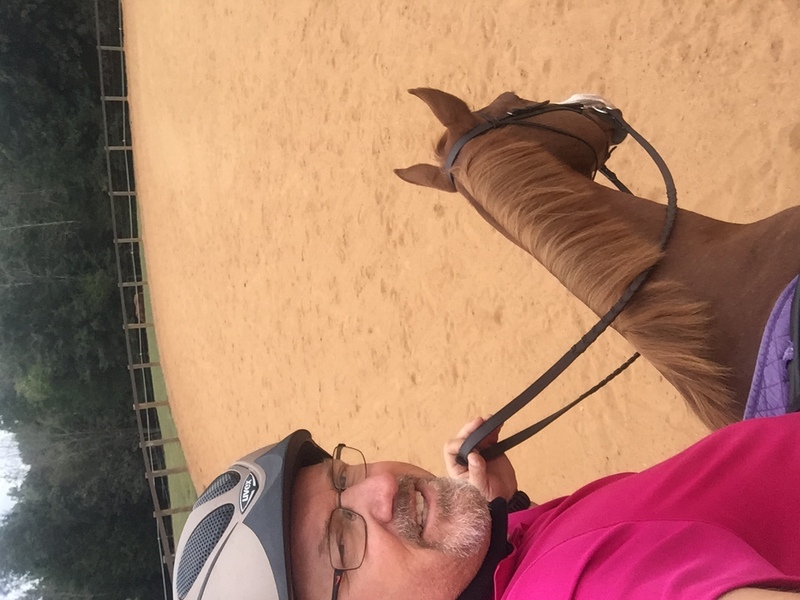 So on Sunday, just one week post Ironman NC and three days until I would leave for Florida, we took a two-lesson clinic with eventer Bobby Meyerhoff and his jumper wife Danica. It was a workout, a learning experience, and a Pony Club outing rolled into one. It was another reminder of how much I love riding my big chestnut horse. Being at the clinic with fellow Horsemasters and our Pony Club counterparts reminded me once again how fortunate I am to have my health. Being able to get out and do the things we love to do is truly a blessing. The young riders and their parents in our Pony Club have been extremely supportive of me in my efforts to become an Ironman and I can not thank them enough. The day before I left for Florida I got an injury update from my physician. I had been having intermittent and moving hip pains. My MRI results showed a stress reaction, slightly less than a stress fracture, and a minimal tear of a hamstring. My Doctor advised me to listen to my body and have a safe race. Off to Florida I headed knowing I would not have my best race but I was raising money and awareness for a great charity. Florida Ironman was the best decision I have made in years. The conditions were close to perfect, I was settled, and the community was full of hype. We made a practice swim and a short bike ride on Thursday. Followed that up with another swim and a short run on Friday. It was our own sort of Jog Up. I walked around the race expo, stopping at the Base Performance tent, as I walked in the lady working looked at me and asked “You event?” “Yes, how’d you know.” Unaware that I was wearing my JBH Eventing hat. We talked about the similarities between eventing and triathlon. She told me I was insane, and I said well I’m an eventer. Saturday morning came early, I was up at 4:30. 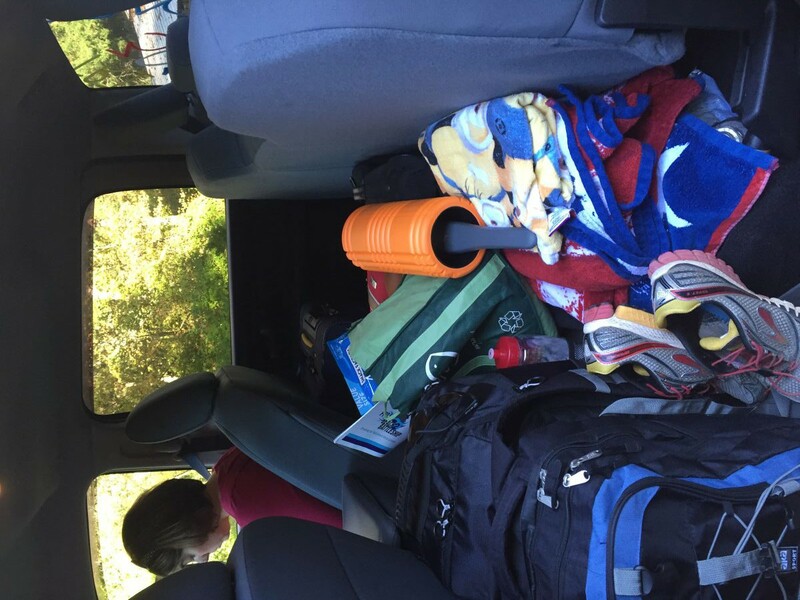 I talked to my wife on the phone as she prepared to head out for a day of cross country schooling. I headed to the start line to join my friends and teammates. The swim start looked calm, the cannon went off and in the water we went. One hour 45 minutes later I finished the 2.4 mile swim and was headed to the bike. I expected the 112 mile bike to take about 6.5 hours. What I didn’t expect was my wife to be standing at the bike finish cheering me on. She pulled off the ultimate surprise. After an few emotional moments it was time to change my clothes and head out for the marathon (26.2 mile run) portion of the triathlon. I did it, 14:45:29, I was an Ironman for the second time in two weeks. I was thrilled, I was exhausted and I was hungry. Throughout the race I thought about the sacrifices my family and friends made so that I could compete. I thought what next because I am goal driven. I thanked everyone I could for their support. If you have a goal, set your mind to it. Achieve it. Learn from it. Grow from it. I hope to meet many of you, the EN Nation, as I set out to achieve my 2017 goals. Happy New Year. If you missed it, check out part 1 here! Competitive or not, we all make choices about our training. After realizing that my fitness was as big of a part of my riding as the riding itself, I made a conscious decision to do better. I had a base foundation. I needed to figure out what was next. I knew after completing the marathon that I was not destined to be a runner. I looked at my options and came up with triathlon. We were still fox hunting. I was running, trying to learn how to swim correctly, and getting back on a bicycle. It was all relative. No different from figuring out the basics of dressage, learning my way around a jump course, and the fun part of cross country. Each workout was a lesson in itself. Learning my body, when I could push myself and when I should take a rest day. 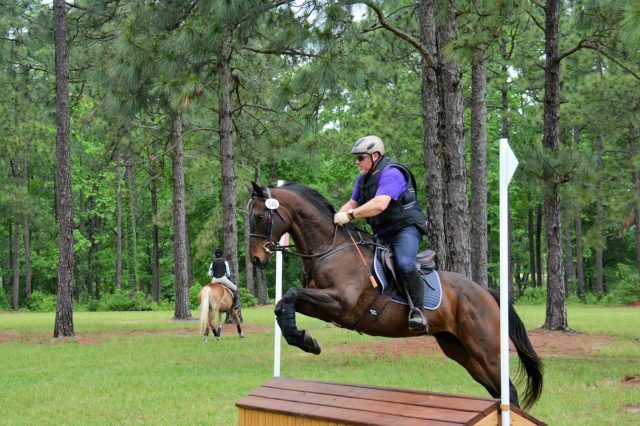 Eventing carries many similarities to triathlon. Three disciplines with a transition in between each one. 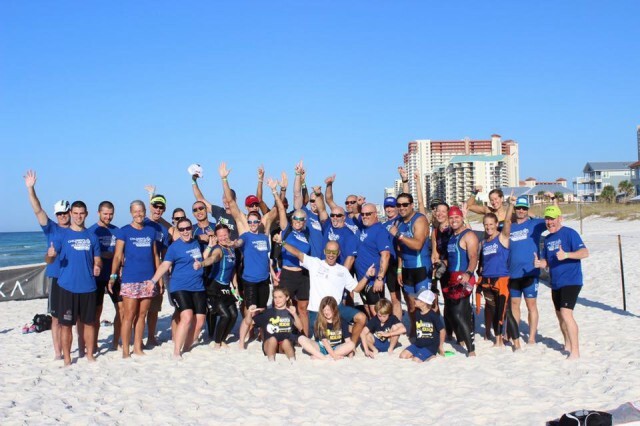 The biggest difference is that in triathlon your time starts when you enter the water and ends when you cross the finish line. Like many eventers I find the dressage to be the toughest. Likewise in triathlon I find the swim to be an effort in survival. 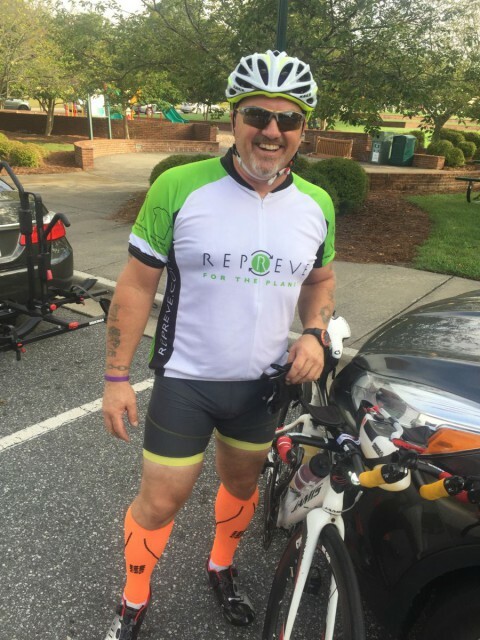 The bike phase is my strongest discipline and my run is a means to the finish line. My tri coach tells me you can’t win the race in the swim. My eventing coach, Jessica Bortner-Harris, reminds me that it is to my advantage to finish on a good dressage score. In both sports you must be strong to the end. It is not only a physical effort but a mental challenge as well. The more I compete in both sports the more I realize how important the physical aspect is to the mental toughness to make it to the end. When you go to your first horse trial the questions start popping into your head. Did I practice my test enough? Did I pack my show coat? We did put both bridles in the trailer right? The questions are all to similar in triathlon. Am I ready for the swim? 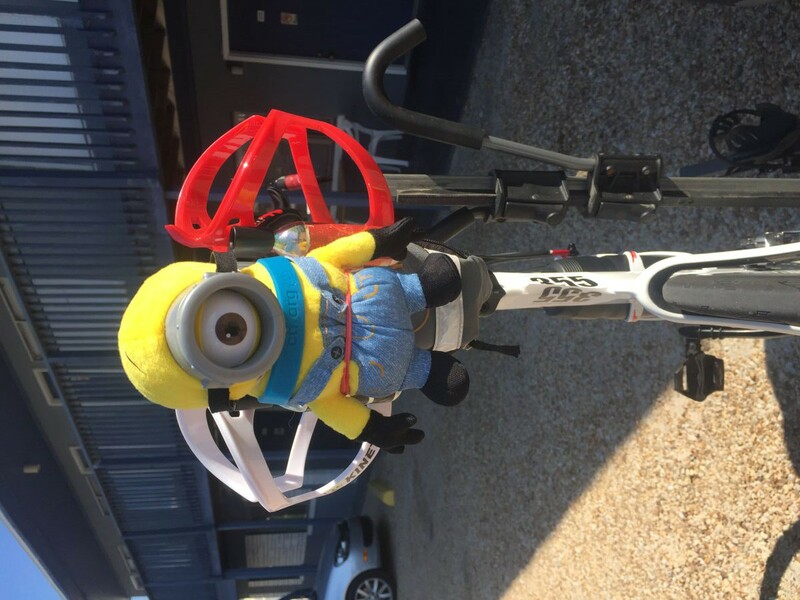 Did I put my bike shoes in my transition bag? Do I have enough nutrition packed? The mental aspect comes in long before the physical side ever does but being physically ready helps ease the mental stress. Triathlon has five different levels. The entry level is a pool sprint which consists of a 250-400 yard swim, a 12.4 mile bike and a 3.1 mile run. Once you leave the entry level the swim leaves the pool. Sprint, International (also known as Olympic), Half and Full Ironman all require an open water swim element. The only discipline that sees a change in the Sprint is that the swim become open water (lake, river, bay or ocean) and increases to 750 yards. International consists of a 1,500-meter swim, a 40K (24.8 miles) bike and a 10K (6.2) mile run. 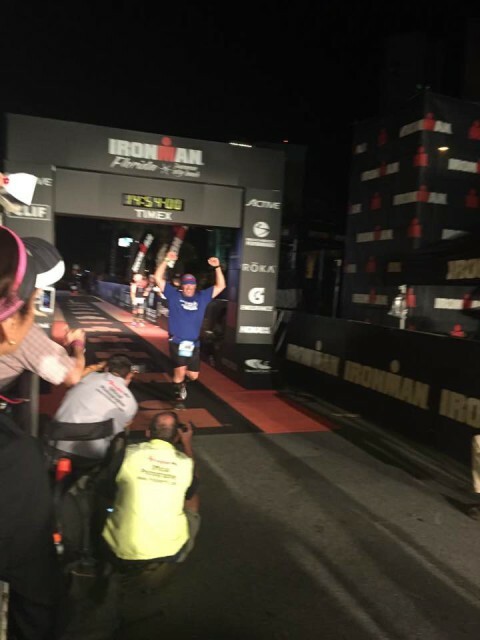 When you really want to test your physical and mental strength you move up to the Half and Full Ironman distances. They are much greater distances. The half is a 1.2 mile swim, a 56 mile bike and a 13.1 mile run. The maximum time allowed is between eight and nine hours. The full doubles all of these distances, a 2.4 mile swim, 112 mile bike, and finishes with a 26.2 mile run with a cutoff time of 17 hours. Most people would consider this crazy, but then again as eventers we are looked on as crazy by those who don’t understand our passion for the sport. Before I started competing in triathlon I thought that the Ironman was an elite group of crazies that got 90 minutes of fame annually on NBC Sports. Likewise I felt the same about Rolex because I didn’t know any better. Since I began training for triathlon I have competed in at least two dozen races of varying distances. To date I have completed the half iron distance three times, and have stood on the podium at one sprint and one international distance race. On October 22, I will make my first and only attempt at the full iron distance at Ironman North Carolina in Wilmington. My fitness level has improved a lot over the last five years. It has made me a much more balanced rider, and has helped me to stay in the saddle at times when I would have definitely been a yard dart in the past. My confidence level has also made vast improvements over the last several years. I believe with continued training I can take my current mount to Training level (I am currently showing Beginner Novice). In order to do so I know I will have to find time to balance my fitness training along with my ride training and balance my career. These are all things that I would never considered six years ago when I was 40 pounds heavier and smoked two packs a day. I am proof that if you put your mind to something and commit to the work you can achieve your dreams! I encourage each and every one of you to find a few minutes a day to work on your fitness level. The dividends will amaze you in no time. If you see me at an event feel free to join me on a morning jog or an afternoon yoga/stretch session. In 2010 my family gathered at our parents house to celebrate 50 years of marriage. My brother flew in from Australia, my sister drove in from Long Island, and I made the trip from North Carolina. We were only together a few hours when my brother, who had recently had a renewed interest in his health and well being, took it upon himself to fire countless insults about my lack of interest in my health. After all, that’s what siblings do to each other. I was 41, smoked two packs a day, and never met a cookie I didn’t like. I am a mere 5’7″ and was tipping the scales at 260 pounds. As my brother pushed my buttons, I made it to the kitchen, where mom always had a fresh plate of those cookies. Trip after trip I heard comment after comment. 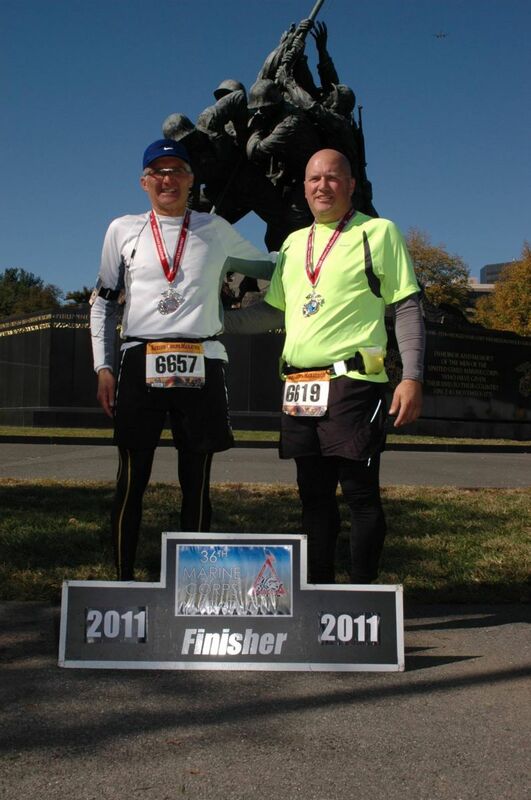 Dennis, my brother, continually talked about his running and his fitness. After a few days, I made the ultimate challenge to my brother, “Let’s run the Marine Corps Marathon together!” He laughed me off and said anybody can run that race; you just have to pay your entry fee, no qualifying or anything. My offer stood unaccepted. Challenge accepted. Where do I begin? First hurdle, put the cigarettes down. Next, stop eating. Well those two do not exactly go together. I quit smoking for the most part, but the eating continued more than ever. I was squeezing in size 38 jeans. No way was I buying 40s. I downloaded a training plan. I studied it and put it off a few times. On July 1, 2011, my wife said, “If you don’t start training you WILL die at this race!” I started a few weeks later. At first I couldn’t run a mile. How was I ever going to make it 26.2? Over the next three months, I drastically changed my food intake and increased my running distances on a weekly basis. The weight began to fall off, as did my clothes. Before I knew it 34s were the norm. October 30, 2011 was a cold, blustery morning in our nation’s capital. It was 34 degrees when we left our hotel and headed to the metro. We gathered in a parking lot near the Pentagon, huddled together like horses in a field on a chilly morning. It took about an hour and a half for the race to start. Drew Carey was the race starter and was running in the race as well. The Marine Corps Air Wing flew over just before our National Anthem. I still get chocked up every time I hear it played. I had to pull myself together and consider the task at hand. It is the same feeling I get when I enter the arena for my dressage test: knees shaking, heart pounding, checklist running through my head. I’ve got this, I’ve put in the work, but was it enough? 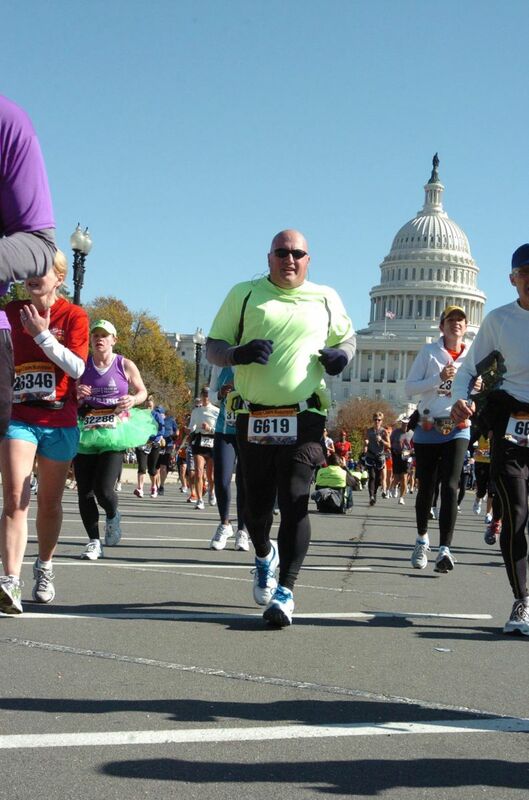 The Washington, D.C. area is a beautiful place to run. The spectator support at the Marine Corps Marathon rivals that of Rolex on cross country day! As we ran past the different monuments and along the Potomac River, we were reminded of why we both served this great country. Marine One, the presidential helicopter, even made an appearance. Thousands of total strangers cheered on every last athlete. The miles clicked by. We were cruising right along. My legs felt good, my breathing was in check. My mind wondered from time to time: How did I get here? Where would I go next? Is this all just one really crazy dream? Five, 10, 15 miles feeling strong. Mile 20, I began to tire. Mile 22, we were passing our hotel, I suggested that we hang it up, take a hot shower and say we tried. Dennis would have no part of it. He pushed me on. Mile 26, the exit ramp for the Iwo Jima Memorial, and the last two-tenths, you got it UPHILL. After four hours, 59 minutes and 11 seconds, we had reached our goal. We were marathoners and under my goal of five hours. So you are wondering how this relates to eventing. At some point during the 2011 hunt season, I realized how much easier it was to get on and off my horse. I began to think about the added stress I put on him having to carry me around. I knew how much better I felt after a long run chasing that crazy red fox. Surely my horse appreciated the new me. Now to find a way to maintain a level of fitness that suited me, my horse and the eventing world we were about to join. Editor’s note: We announced the 13 finalists in the 6th annual EN Blogger Contest last week, and now we’re bringing you their first round entries here on Bloggers Row. Each entry will be presented unedited for fairness’ sake. Thanks as always for reading, and please leave feedback in the comments section. Round 1 Entry: Why Volunteer? Our 2016 visit to the Rolex Kentucky was especially gratifying. After 10 years as spectators we decided it was time to give back to the sport we love. 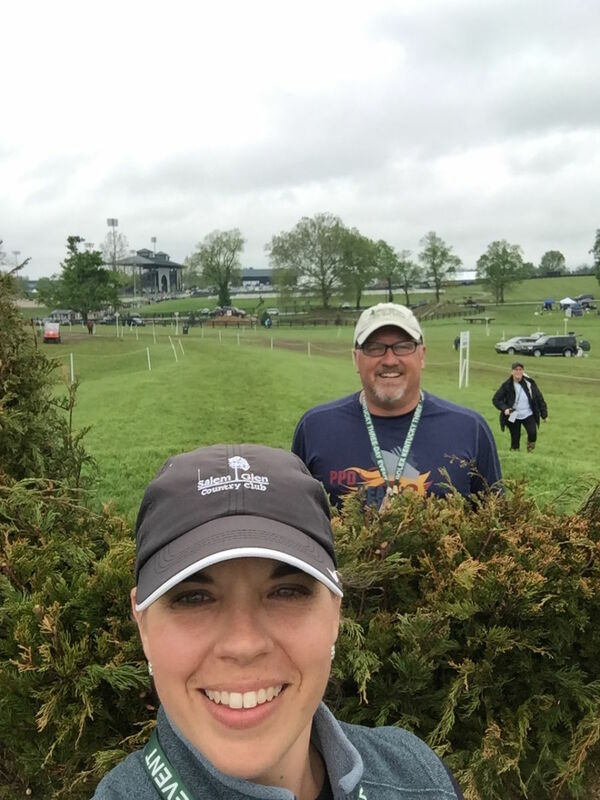 With a little prompting from EEI board member John Prather, my wife and I agreed to volunteer at RK3DE. We have been attending the cross country phase for the last 10 years as a small part of our annual spring trip to Lexington. We started getting a tailgate space the first year that they were offered and have had one every year since. 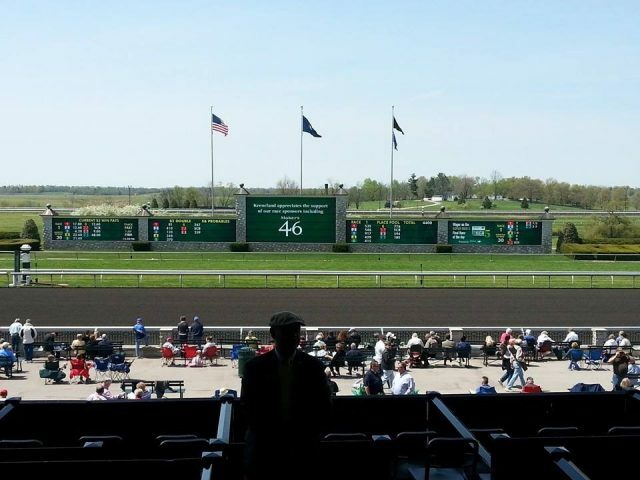 I don’t know what a spring without Keeneland and the Rolex would be like. We met John Prather the year we forgot to buy ice for the cocktails. A nice volunteer came by offering assistance with anything to make our experience exceptional. We asked if we could buy some ice, she called someone on the radio. Pray showed up with ice, and lots of it. We have been friends with the ICEMAN ever since. John was able to facilitate the most uplifting experience in my life. In the tailgate space next to ours was Brandon, along with his wife and in-laws. We had known them for about a year and a half before the accident that took 85 percent of Brandon’s eyesight. John had asked if he could do anything else to help with our visit. I put him to the test when I asked him if he thought the Land Rover people would be able to get Brandon driving, the one thing he really missed. Twenty minutes went by when John and a small army of golf carts showed up and said lets go. Brandon’s family was in shock as was the rest of us. I was lucky enough to be able to ride with Brandon and the best driving instructor in the world. The little things we take for granted gave Brandon a new outlook on life. After a few more years of being wowed by the hospitality of all the volunteers we decided throw our hats in the ring. We were assigned to guest services, which was kind of a catch all. We put up temporary fencing, as if that would keep eventers from trying to jump the creek, and save a few bucks for future lessons. We hauled trash, we shuttled people to all areas of the horse park, we even got to give one family a personal tour of the cross country course. While out on that tour we got to meet Bunny Sexton, who took the time from her course walk to explain the options at Land Rover hollow to those of us trying to figure it out. Another reason why eventers are the best. On Friday evening after shuttling an elderly woman to the far reaches of general parking, I headed back in. That’s when I encountered a nice couple heading into the park with a suitcase in tow. I picked them up and headed to the other side of the horse park parking lot. That’s when I found out that someone had driven all the way from Chicago without their suitcase, but was able to get another eventing junky to bring it down for them. I dropped them off at their car, a Mini Cooper with a tag that read TACK BOX. You have to love equine sense of humor. I will say I was grateful for not being on the team that was called on multiple occasions to clean up where someone had been sick. I am sure that there are other not so glamorous volunteer jobs out there that go unnoticed. Eventing has afforded me the opportunity to meet some really cool people. Sure there was the photo op with William Fox-Pitt, and meeting the voice of Rolex (who’s name escapes me). Being introduced to Bobby & Danica Meyerhoff, as they moved their operation back to North Carolina via a stop at Rolex, was a highlight of 2015. However, the real heroes of eventing are the you and me, who volunteer to help bring an event to fruition. 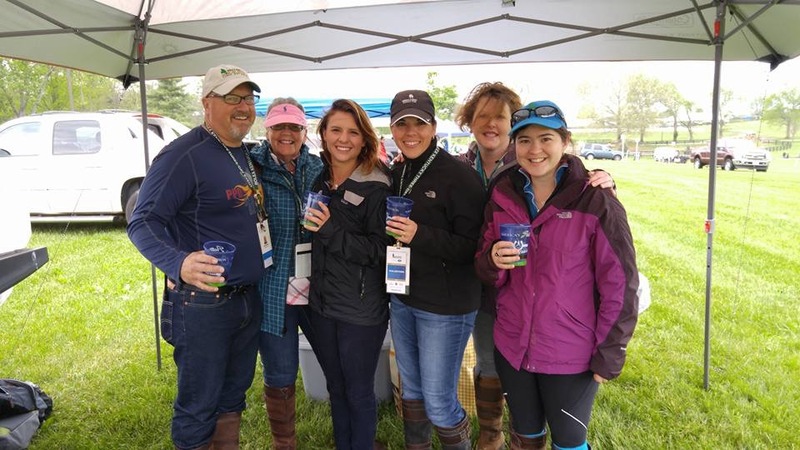 Whether you volunteer at a local schooling horse trial, or at an international event get out there and volunteer. Having competed and volunteered I can say both are very rewarding. So go eventing or go volunteering but GO!!!! 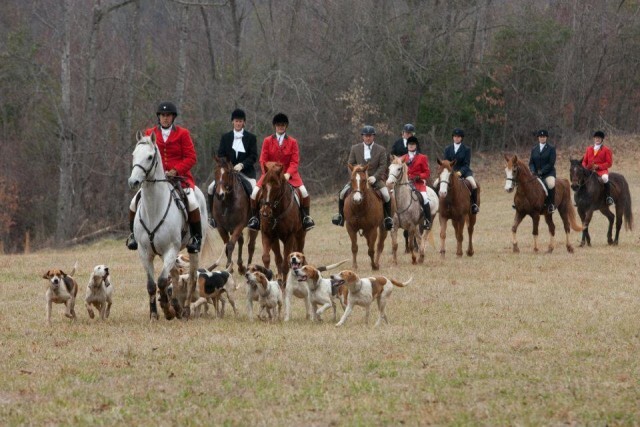 Converted Foxhunter: How Did We Get Here? Farrier Scott Shiminski and his wife Alison are former foxhunters turned eventers who are now proud members of the Jessica Bortner-Harris Eventing Team. 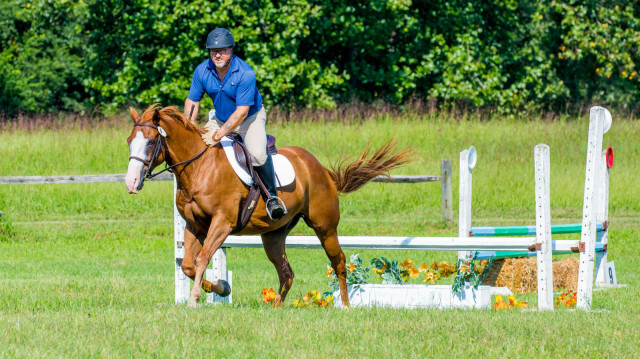 Scott and his horse, The Big O, completed their first recognized event this past weekend at Full Gallop Farm's June Horse Trials, and he kindly sent in the story of how it all began. Many thanks to Scott for writing, and thanks for reading! Scott Shiminski and The Big O. Photo by Duncan Moody. I am a 47-year-old farrier and former foxhunter turned eventer. So how did I get here? I have ridden horses on and off my whole life, receiving my first broken wrist at the ripe old age of 5 while on a trail ride, the first day of a family vacation. I have been hooked ever since. Growing up I was always told that horses were too expensive. I picked up rides here and there with the parents of school friends, who would have preferred I had thrown the baseball or rode bikes with them. I visited my uncle’s Standardbred training facility, where my grandfather was the night watch. I begged for every campground that we visited to have riding stables. My parents obliged as much as they could. Mom took grandpa and I to “Breakfast at Belmont,” and we visited Uncle John after he moved to the Saratoga area to watch his horses run. As I grew up, my opportunities to ride grew further and further apart. I joined the U.S. Marine Corps at the end of high school, and after 18 months in Okinawa, I was transferred to Albany, Georgia, where I purchased my first horse for my 20th birthday gift to myself. Tontos Jewel was a registered Paint 2-year-old filly who had been out in a pasture since she was foaled. She was working cow horse stock, and I was green! With the help of a few local friends, we broke and trained her. That was by far the easiest thing I had ever done. She made breaking look like child’s play. 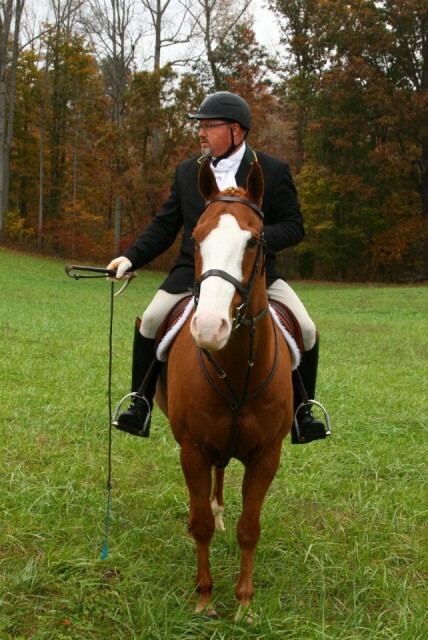 We went to a few team penning events, rode in parades and put many miles in the woods trail riding. After two years in Albany, my tour with Uncle Sam was over, and I moved back to Long Island. Shortly after arriving home, I realized that I could not afford to ship her back and treat her the way she deserved to be treated. I made a heartbreaking decision to offer her for sale. 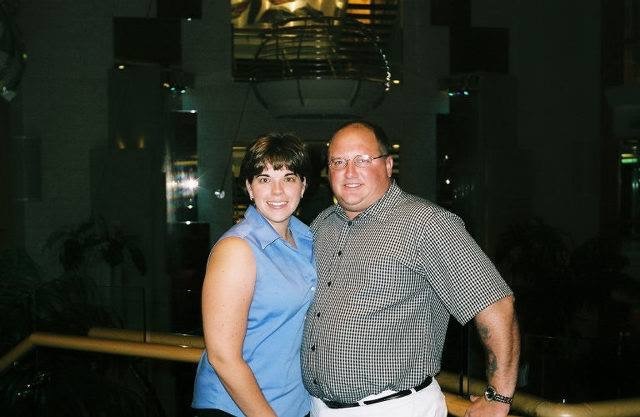 After several years at home, I married Alison, my wife of now 20 years. 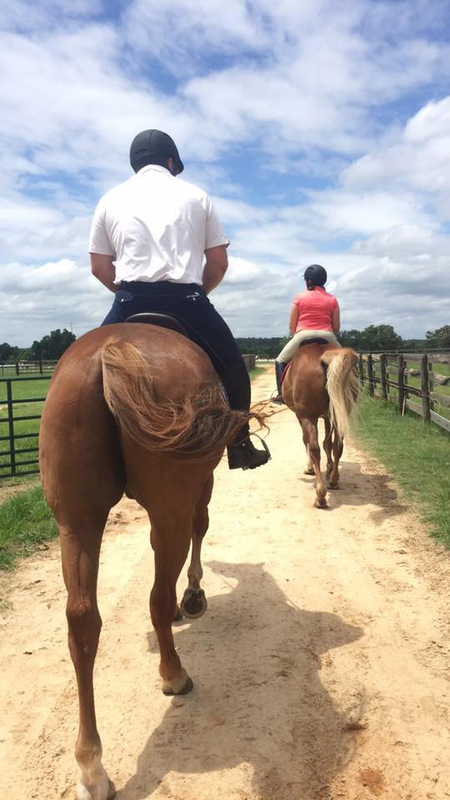 We leased a few horses, went back to team penning and trail riding. 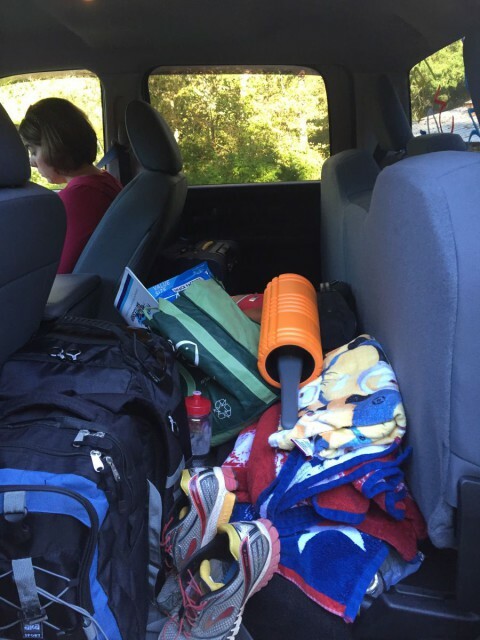 After two years of marriage, Alison got accepted to the Wake Forest University Physician Assistant program, and we headed back south to North Carolina. After Alison completed school, she asked me if I wanted to go back to school. After some time I took her up on that offer and attended farrier school in Martinsville, Virginia. While apprenticing with Ted Whitfield, whose clients included many hunter/jumpers, I realized I did not know enough about their discipline to serve them well. So I took lessons at one of our shoeing barns, and before we knew it we were buying horses again. We had only had our horses a few months when a friend introduced us to hunter paces at the local kennels. In just a few short rides, we were hooked. We joined Yadkin Valley Hounds later that year and hunted with them until they closed. During our time at YVH, we learned to go fast, hang on and stay out of the huntsman’s way. Eventually we tried our hand at whipping in and really enjoyed it. While hunting with YVH we were introduced to Jessica Bortner-Harris who was helping a fellow hunter with a green horse. After the closing of YVH, we were somewhat at a loss for what to do with our horses. We leased them to a riding program for awhile and worked on our golf game. 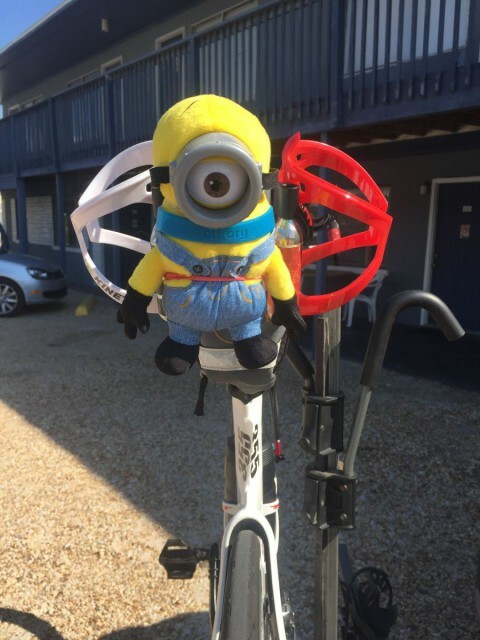 We also competed in some local triathlons, where I got the bug to try an Ironman. After three Ironman 70.3 (half-Ironman distance) races, I found a void that could only be filled by riding. In March of this year, we were re-introduced to Jessica Bortner-Harris, who we had previously met while hunting with YVH. Jessica had taken on student at Sunnybrook Farm, where we have boarded for the last seven years. It didn’t take long for us to jump back in the saddle. Jessica had her work cut out for her, but she was up for the challenge. We have come so far in just three and a half months. 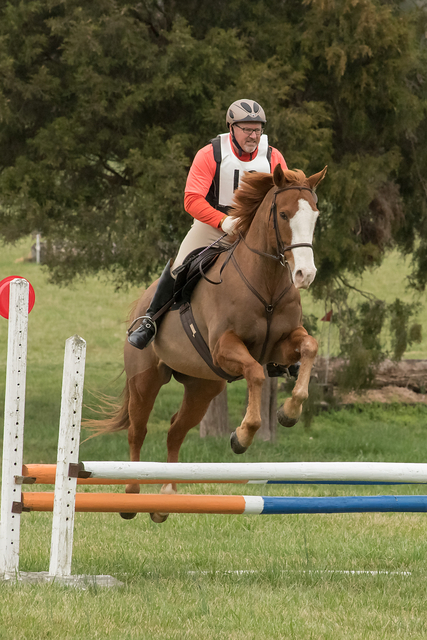 Jessica got us through one horse trial and a combined test early this spring, and we had our sights set on Full Gallop Farm June Horse Trials this past weekend. Scott Shiminski and his wife Alison at Full Gallop Farm H.T. Photo by Mia Hughes. We could not have asked for better weather at Full Gallop: June, Aiken, high 70ss, perfect conditions for our first recognized event. We arrived early in the day Saturday. We got our horses settled in and prepared for a lesson. We met up with fellow Team JBHE competitor Catherine Schumak and headed out for a dressage lesson. All things considered, our lessons went well. It was time to try to relax and prepare for Sunday. Sunday morning came quickly. We arrived, fed and went to watch Catherine’s dressage test. It was incredible. We headed over to watch her jump, and I went to prepare for my test. I posted my best dressage score to date. I was anxious about the upcoming jumping rounds; we were ready, right? 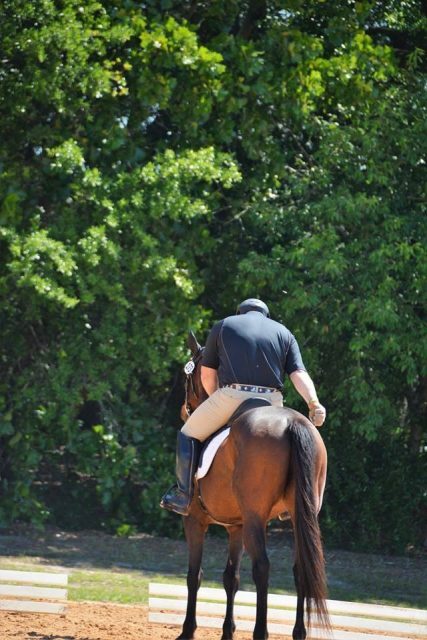 As Alison headed to the dressage ring with Jess, I headed to warm up for stadium with Catherine along to get me started. Jess returned from dressage with a smiling Alison, who also posted her best score to date. Jess guided me through several warm-up jumps and sent me to the ring for show jumping. I vaguely remember hearing the whistle; we made it over jump 1. We rolled back to two and three, then around to the butterfly at four — success. On to five, six, seven, eight; I approached nine with a little apprehension, but Big O took it in stride. Now just a turn back to the combination at 10. Wait, a combination; have I practiced enough of these? Success. We had an awesome jump round with one rail. Only one phase to go. Jess and I headed to cross country, and Alison prepared for her jumping phase. I cannot tell you what I was thinking when the count down began at the start box, but I kept thinking about what Jessica had told me: “One question at a time, don’t worry about the table at 14 until you clear 13.” We were off. As I started to fence one, I realized I was lining up on the jump for Starter division. A quick adjustment and we were back on the right course. Questions one and two, check, a slight hesitation at three, down the hill to the log at four and over the barn at five. The lamb shed then up bank at seven. I can hear Jess in my head: “If he is going to look at something, it will be the mushroom at eight. No problem there. On to the water, out over the roll top, over the cabin at 10, down to the ditch at 11. Three to go. Easily over 12, no look at the bench at 13, only one more question the big table at 14, safely over and a short gallop home. Five minutes later it was all over, I had completed my first recognized event. Overwhelmed, elated, at a loss for words. Jessica came up to congratulate me. I was in some stage of disbelief that I had made it, and I was probably a little short in accepting her congratulatory sentiments. Nonetheless, I am grateful for my coach and all of her efforts to get me this far. The Big O cooled down quickly and had a sponge bath, then I put him in his stall to chill and headed over to the ring to cheer on Alison. I arrived as she and Cody headed in. I stood back at the edge of the barn, not wanting to cause any nerves. The whistle blew and Alison headed to jump one. Cody refused, then refused again. Alison got over on attempt three. Jumps two and three were perfect. Jump four came with an attempted refusal, but Alison won. She was riding stronger than I had ever seen her ride. Jump five was huge (in Cody’s mind), and he nearly unseated Alison. At that moment, Alison made the right, although very difficult, choice to retire. Cody can be a stubborn horse to ride, and today he was not feeling it. I know in the future they will do great things together.